We provide Tuition for Apple Logic (Pro X, Pro and Express) in London and the Home Counties, and online via Skype. Our tutor can help you get the most out of your equipment and offer advice on purchasing new equipment. 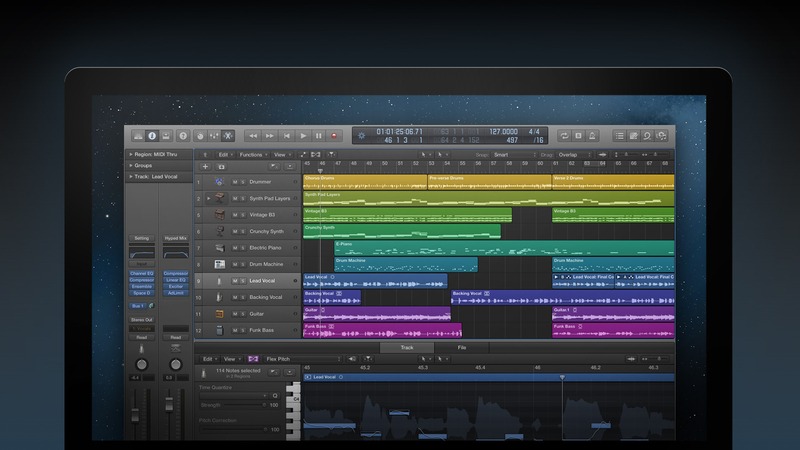 If you are just starting with Logic, we can demystify the software and get you making music quickly. You are guaranteed to have created a musical piece by the end of the first session. 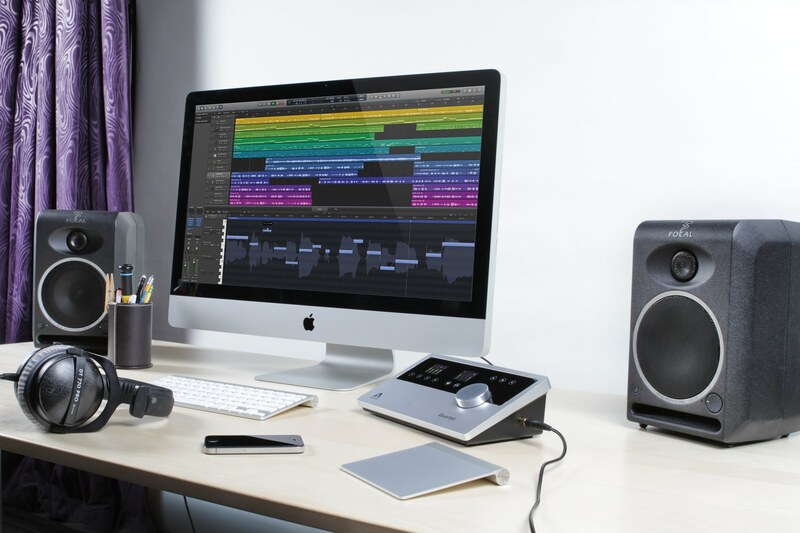 If you don’t like youtube tutorials or manuals, we can help you learn Logic Pro X quickly. We guarantee to have you recording and mixing a little song by the end of the first session. Because the sessions are face-to-face then there is a very steep learning curve that is geared towards the way that you want to make music. Rather waste time learning irrelevant techniques that you will never use, focus your time on being creative and having fun. We can configure your equipment or advise you on new purchases. We offer tuition over Skype worldwide. Using Skype screensharing I can see your computer screen and direct you around Logic. 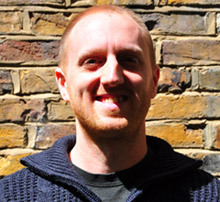 Hi my name is Tom and I am a sound engineer/producer and tutor living in London. I have used Logic and ProTools in professional studios for many years and I love making music :-) I have been teaching Logic, ProTools and Music Production since 2005. I also write music for TV and radio and have a home studio (Cato Studios) where I offer recording, mixing and mastering services. I have been lucky enough to work with many amazing artists such as Billy Bragg, The Fall, Aleesha Dixon, Kate Nash, The Lightning Seeds, Jamelia, BootyLuv, Lemar, JLS, The Saturdays, The Wanted, The Cult, Paul Carrick, Youth, Dolores O’Riordan, Ella Montclare, Deeds of the Nameless, Ian Brown, Theo Bard and many more.. Many of the production techniques used in Logic are also applicable to every other DAW. We can help your recording, mixing and mastering in Cubase, ProTools, Reaper, Live and all other platforms. "I was looking for expert 1:1 Logic Pro X tuition and happened upon Tom. This guy really does know his stuff! What was accomplished in one session was phenomenal. He has a relaxed and friendly manner and imparts his knowledge in a way that makes it so easy for you to assimilate. I was so impressed I later booked another session with him and, again, was delighted. If you want someone who goes that extra mile, then get in touch with Tom." "Just a quick note to say thanks for the tuition session last night. You really know Logic inside out and it was exactly the learning experience I was hoping for." "Tom has been a wonderful teacher, very knowledgeable and patient. I learned more than I could ever have imagined in four lessons. His teaching has really helped me on the path of producing my own music. His love for music is evident in his teaching and the short course was extremely good value. Thank you! =)"
"Tom’s very accommodating, knows his business and has delivered exactly what I required!! Wouldn’t hesitate to recommend him! !… "
"...(con't)... After coming across Toms website I gave him a call and the rest is history really.... This is complex software but on top of that is getting your equipment set up right. Tom was able to explain what I needed & wanted to know in an enjoyable and relaxed way.... Which is the only way to learn something isn't it? I’ll definitely be doing some more lessons with Tom over the next few months." "Thanks for the lesson, it’s been the best I’ve had yet and really got me thinking"
"Just a massive thanks again for your help - you exceeded my expectations and would welcome you back in a heartbeat should any issues arise in my home studio." "I was looking for someone to help me start producing my own songs, and I found Tom online. We discussed what equipment I needed, and once I had got it all he set it up and started showing me how to use it. I can now record my demos at home, and then i send them to Tom for him to mix and master them. Its been great fun and my songs sound great now." "I contacted Tom after repeated failure to grasp the Logic software on my own and internet tutorials, and his beginners crash course was perfect for me to get off the ground and using the programme...(con't)..."
"...(con't)...Before we started he listened to what I was doing (and hoping to do) with Logic and then tailor made the lessons to highlight areas that I would be using a lot without spending wasted time on aspects of the programme that I would probably never need to use. I will undoubtedly be returning for more lessons as I develop more with this programme"
"I have tried out a number of logic tutors over the years and Tom was by far the best of them all. The service he provides is excellent in that he comes to your place and works with your set-up - i.e your particular sound card, your version of logic, your mics etc - which is really invaluable and accelerated my learning considerably. It can be frustrating when you go on an external course and their set up is different to yours...(con't)..."
"...(cont'd)...I myself provide music tuition as a guitar tutor and part of my business is to hire and manage other guitar tutors - so I am in a position to assess and be critical where other music tutors aren't up to scratch. So to get a 5 star recommendation from me is going to be pretty tough but I have to say that Tom absolutely deserves this glowing recommendation." "I needed to re-configure my studio setup of an Apple Mac G5, Logic Pro 7 with a Yamaha Motif ES 6. Even though Tom advertises Logic 9 tuition, I enquired if he would still offer some help with my outdated equipment and he said yes, no problem!...(con't)..." "...(con't)...After searching through endless Logic Tuition books, CD-ROMS and Logic Forums to try and find the answer to my problems..... Tom had everything sorted in 3 and a half hours! He was dead on time, professional and a good laugh. Should I ever need any help with Logic in the future, I will definately call Tom again. Thanks again Tom!" "Just wanted to say thanks so much for today - what a brilliant service - by coming to my home and checking out my whole setup you were really able to help me sort out any issues so quickly. I've spent hours trawling the internet trying to find an answer to a problem specific to my set up, usually without success, whereas you were able to solve it almost instantly. Thanks so much - just hope I can remember even half the stuff you showed me!" "I was looking for some online Skype tuition to help further my Musical knowledge. I found Tom's website, and I've been training with him for a while now. In a short space of time I've learned so much. Tom as a tutor does not only have a wealth of knowledge, but can explain it in a very clear and concise way....con't.."
"...con't...He's also a very nice guy, who went way out of his way to help me out whenever he could. I'd highly recommend him to anyone who wants to really get to grips with making music, or needs to learn some of the more advanced techniques. Tom had me up and running in Logic Pro in no time at all!"